Few platforms have introduced the degree of controversy that has resulted from the introduction of and growing pains associated with the Littoral Combat Ship (LCS). From online message boards to the less-than-enthusiastic 72 page Government Accountability Office report on the program, one doesn’t need to search far to find exasperated and at times vitriolic criticism of the program. 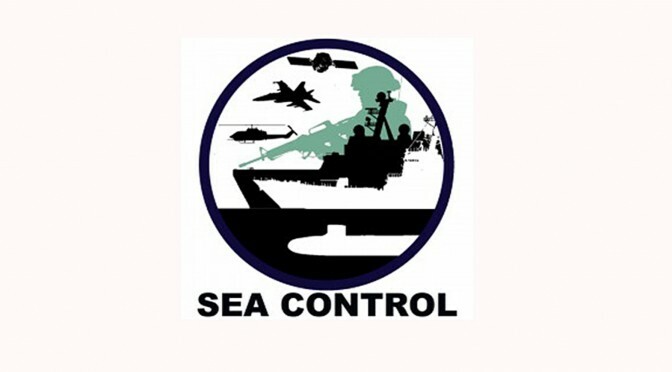 Though LCS, like any program, is not without its flaws and growing pains, this episode of Sea Control explores the positive aspects of the program and possible applications to tomorrow’s conflicts against the United States’ proto-peer competitors. Host and CIMSEC President Sally DeBoer discusses LCS with two military historians, Mike, and retired Navy Commander and Ph.D. candidate Mr. Steve Wills. CDR Wills is a retired Surface Warfare Officer who has written extensively on LCS and other naval issues for CIMSEC and other outlets. Sally DeBoer is the President of CIMSEC for 2016-2017. The views of the guests are their’s alone and do not represent the stance of any U.S. government department or agency. Welcome to the December 2015 Member Round-Up and happy holidays! 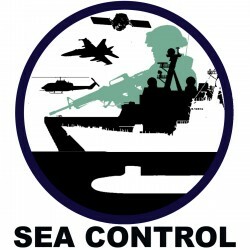 CIMSEC members have examined an array of international maritime security issues, including the future of China’s aircraft carrier program, budgetary cuts to the U.S. Littoral Combat Ship (LCS) acquisition process, Russian naval capabilities in the post-Cold War period and the decline of British sea power. Beginning the Round Up at The National Interest, Harry Kazianis discusses the primary features driving the development of China’s aircraft carrier program and the operational capacities the program will yield for the PLA-N. Mr. Kazianis explains that the continued expansion of the program and the inclusion of carriers in China’s maritime defense policy have reflected Beijing’s grand strategic vision of Chinese seapower expanding into the Asia-Pacific and eventually attaining global power-projection capabilities. Also at The National Interest, Mr. Kazianis discusses China’s expanding anti-ship ballistic missile (ASBM) programs and the implications the DF-26’s nuclear and conventional attack capabilities have on regional influence and nuclear deterrence. Further to this, he explains how the multi-use DF-26 ASBM has been upgraded with anti-identification, anti-interception and integrated technologies to enhance the missile’s ability to conduct successful offensive and defensive operations. Ankit Panda, for The Diplomat, identifies the costs and benefits of an accidental freedom of navigation operation (FONOP) in the South China Sea where a U.S. B-52 unintentionally flew within 12 nautical miles of the Chinese claimed Spratly Islands. Mr. Panda explains that although the flyby slightly increased tensions in the region, the incident reduced some ambiguity concerning how China would respond both politically and militarily to a U.S. FONOP or U.S. military provocation near disputed Chinese maritime territory. In a separate article also at The Diplomat, Mr. Panda discusses the deployment of Japanese ground forces to the East China Sea near the disputed Senkaku/ Diaoyu Islands largely to promote jurisdictional control over the Islands. The increased ground force presence will enhance Japanese intelligence, surveillance and reconnaissance capabilities near the Senkaku/ Diaoyu Island chain while reducing Chinese operational capacity in the region. Michal Thim, for Thinking Taiwan, discusses the strategic importance for the Taiwanese Navy to procure an improved submarine force capable of protecting the country’s maritime interests in the Taiwan Strait and resist an increasingly powerful PLA-N. Mr. Thim notes that a lack of domestic shipbuilding experience concerning the construction and design of submarines challenges the possibility of Taiwan’s future undersea operations being capable of surviving an environment with increased Chinese ASW capabilities. 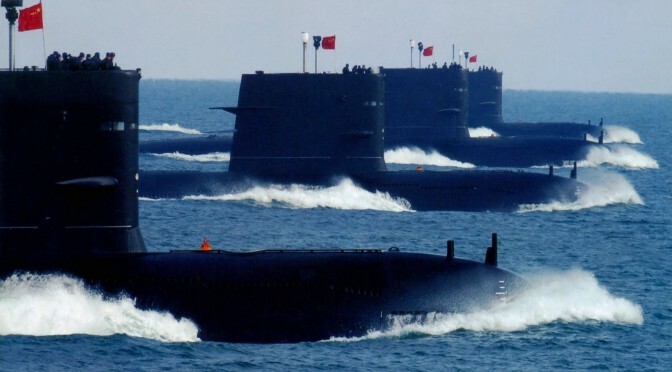 The article highlights the effectiveness of Argentinian submarines against the powerful British Navy in the 1982 Falkland’s War to demonstrate how Taiwan can use a capable submarine force as an asymmetrical weapon system to balance naval power in the region. James Goldrick, at The Interpreter, analyzes components of China’s maritime strategy in an attempt to identify whether Beijing will use its maritime forces to secure and promote global sea lines of communication systems as opposed to developing a strategy focused on securing resources and denying foreign powers influence in the region. Mr. Goldrick suggests that China’s dependence on international maritime trade flow requires the U.S. to acknowledge the usefulness and logical increase in the PLA-N’s size and capabilities while China must use these capabilities as a means to endorse maritime security in support of the global system. Concluding the Round-Up’s discussion on Chinese maritime developments in the Asia-Pacific, Kyle Mizokami for Popular Mechanics discusses China’s acquisition of the Russian Zubr class hovercraft and explains the procurement of these amphibious systems as a result of the several island-based territorial disputes in the East China Sea and South China Sea. Mr. Mizokami outlines the technicalities of the Zubr hovercraft such as the carrying capacity of the ship, onboard weapon systems and maneuverability to highlight the increased amphibious capabilities the PLA-N has acquired. Patrick Truffer, at Offiziere, concludes the December Round-Up with a comprehensive analysis on the development of Russian naval capabilities after the collapse of the Soviet Union and explains how the Russian Federation Navy (RFN) has shifted its focus from the quality and quantity of its conventional forces to the long-term capacity of its strategic forces. Mr. Truffer explains that the RFN has sufficiently maintained the maritime component of the military’s nuclear triad with substantial upgrade investments in the nuclear-powered Borei-class submarine allowing for the older Delta- and Typhoon-class submarines to be replaced. Bryan Clark, for The Center for Strategic and Budgetary Assessments (CSBA), discusses the difficulties the U.S. Navy will face in 2017 with security obligations and demands at sea exceeding its ability to supply sufficient forces. Mr. Clark highlights the likelihood of the fiscal 2017 budget prioritizing a high quality fleet as opposed to one with an adequate quantity of forces. Chuck Hill, for his Coast Guard Blog, outlines the Finnish Navy’s procurement objectives concerning its ‘Squadron 2020’ project. Mr. Hill notes that the Offshore Patrol Cutter (OPC) is similar to the desired Finnish ship, although the final ship acquired will likely be smaller and support more weapon systems than equivalent U.S. Navy or Coast Guard vessels. In a second article, Mr. Hill explains the development of a European Coast Guard, including planned budgets and responsibilities. The article explains how this Coast Guard will resemble a maritime component of the European Border Supervisory Agency and rely heavily on member state navies. Paul Pryce, for Offiziere, discusses Montenegro’s invitation to join the North Atlantic Treaty Organization (NATO), particularly weighing both the objectives and strength of NATO in a period where the alliance faces conflict in Ukraine and Syria and whether these issues reflect the national interests of Montenegro. At The National Interest, Dave Majumdar examines China’s recent war games operation in disputed regions of the South China Sea where destroyers, submarines, early warning aircraft and fighter aircraft conducted military exercises requiring high levels of coordination among air, sea and land-based forces. Mr. Majumdar explains how these war game exercises demonstrate China’s increasingly effective battlefield networks necessary for the development of PLA-N capabilities in high-end conflict scenarios. In a second article at The National Interest, Mr. Majumdar discusses U.S. Secretary of Defense Ashton Carter’s decision to reallocate resources initially intended for the LCS program but now being directed towards more aircraft and additional destroyers. Alex Calvo, for The China Policy Institute Blog, outlines the international arbitration case the Philippines has brought against China regarding the applicability of UNCLOS in the territorial disputes within the South China Sea. The article explains how the case has been interpreted as a victory for the Philippines and more generally how foreign aid – both financially and militarily – from Japan and Korea will continue to support Manila to uphold the court’s rulings. At CIMSEC we encourage members to continue writing, either here on the NextWar site or through other means. You can assist us by emailing your works to dmp@cimsec.org. 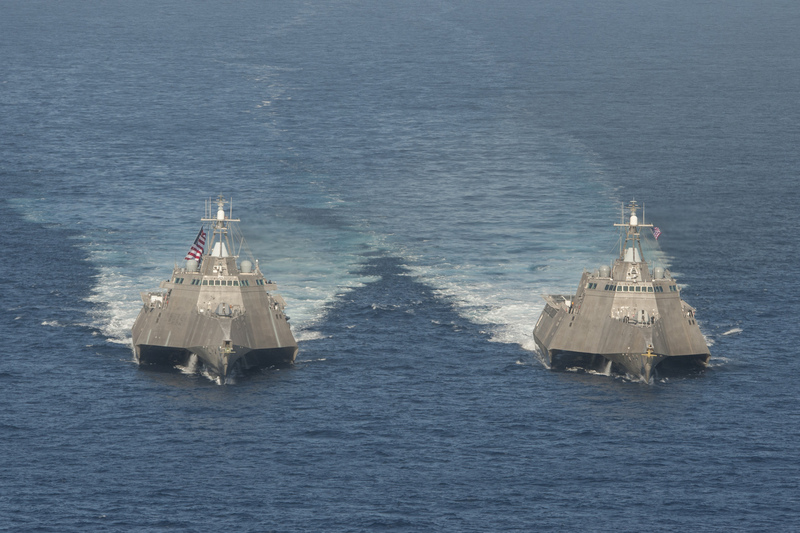 The Littoral Combat Ship (LCS) is the ideal platform to host a significant amount of offensive firepower in support of the emerging concept of distributive lethality. It is large enough have greater endurance and to support capabilities beyond that of the average missile combatant. Its modular approach to embarked capabilities allows for more potential offensive systems to be employed aboard than in similar ships. Deployed as a dispersed flotilla of networked combatants with other organic means of communication, it has the potential to deliver significant amounts of ordnance against a variety of targets. The dispersal of the LCS flotilla complicates and dissipates enemy counter-targeting abilities. LCS is the ideal combatant to carry forward the concept of distributed lethality into the next decade. As described by Deputy Defense Secretary Bob Work in his 2013 history of the LCS program, the ship was always designed as a compromise between smaller, but less capable and globally deployable small combatants, and the larger, and more capable, but more expensive FFG-7 class frigate.1 Compared to smaller designs such as the Ambassador III or dedicated surface warfare corvettes like the Israeli Sa ar V, the LCS’ size and modularity offers advantages above those conventional small combatants. LCS’ has greater endurance then smaller missile combatants like the Ambassador (21 days verses 8) which enables it to remain at sea longer in support of surface warfare missions. The Saar V is more heavily armed then the baseline LCS seaframe, but supports only one rotary wing asset, and lacks the modularity to accommodate future sensors, weapons, and associated systems. 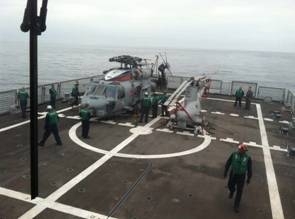 Both LCS seaframes, in contrast support two rotary wing assets (one MH-60R and one Firescout Unmanned Air Vehicle). The MH-60R in particular supports anti-surface and anti-submarine warfare missions, as well as extending the host ship’s sensors, weapons and communications capability far beyond those of a conventional missile combatant like the Ambassador. 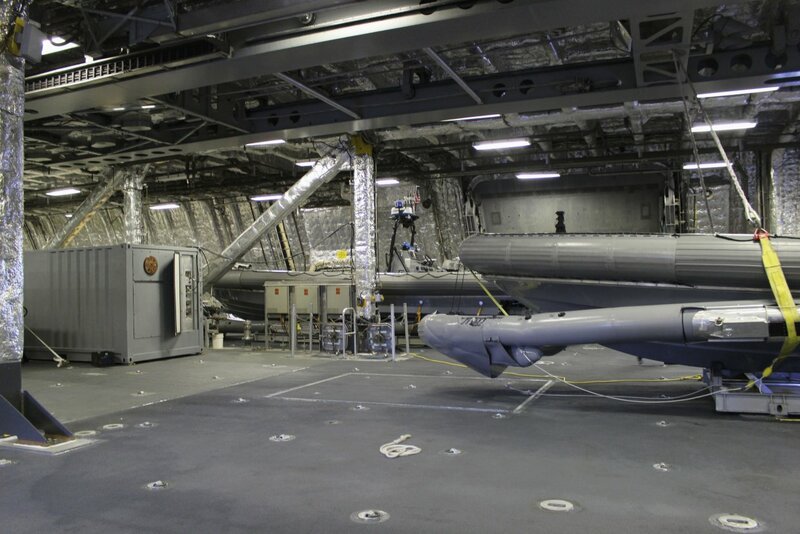 The modularity of LCS also supports the embarkation of a more diverse set of capabilities than those hosted by mission-specific platforms like the Ambassador and the Saar V. An LCS might support a number of unmanned surface or subsurface vehicles separate from its Fire Scout UAV. Mines, additional munitions, and additional command and control equipment could also be supported depending on the desired mission. As the Spruance class destroyers later hosted Tomahawk cruise missiles, LCS’ modularity could support an array of heretofore undetermined systems and new capabilities in the future. Although not presently suited to the Distributive Lethality mission, the LCS could be modified into a potent surface warfare platform with the addition of cruise missiles such as the Kongsburg/Ratheyon Naval Strike Missile. Both LCS producers (Lockheed Martin Corporation and Austal USA) have also said their respective ships could be outfitted with larger 76mm guns in place of the present 57mm weapons. While cruise missiles are a requirement for the Distributive Lethality mission, further weapons, sensors, armor and armament add little to that mission capability and increase costs which the Navy estimated to be from $60 to $75 million dollars per ship.2 This money might be better spent in additional LCS platforms as the original aim of the LCS program was to increase the size of the U.S. surface combatant fleet. Application of additional weight for armor and warfare capabilities not related to Distributed Lethality limits the opportunity for mission package improvements in the future and could limit the number of offensive weapons the LCS can support in its current length and displacement. 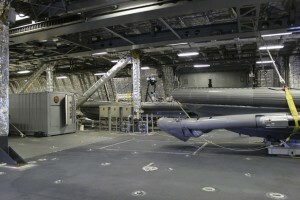 As reported by the GAO, LCS already has relatively tight weight ratios for further additions to the sea frames outside mission module improvements.3 Every warship is a compromise of virtues, where armament, fuel capacity, speed, survivability and other factors must be carefully balanced to achieve desired operational goals for the class. An appropriate balancing of such issues for LCS should be in favor of offensive capability to avoid the need for a costly redesign of the sea frame to support significant additions. The cost of the LCS sea frame has steadily decreased from nearly $700 million to approximately $440 million.4 Three can now be built for the cost of one DDG. This is not the time to increase the cost by redesigning the ship to fit an expanded armament. 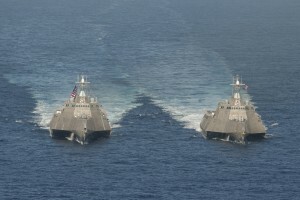 Such a process defeats the concept for making the LCS the “low” component of a new high/low mix of surface combatants. 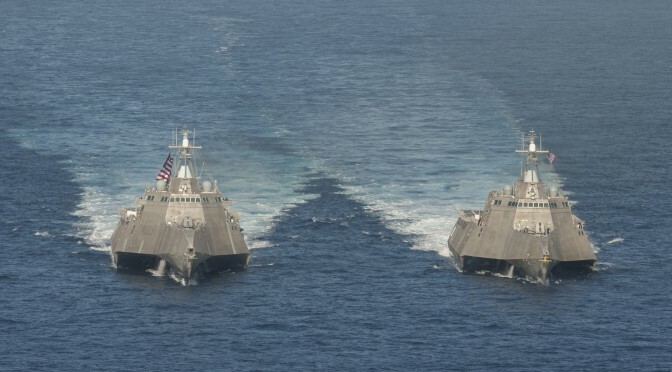 A squadron of LCS employed as part of a Distributive Lethality scheme will rely on their dispersed deployment pattern to reduce susceptibility to opponent targeting. The ships’ high speed, although often derided by critics is also a useful means of escaping enemy detection. An LCS capable of 40 knots can move away from a missile launch point faster than other U.S. combatants and potentially increase the area of uncertainty an opponent must consider in launching weapons down a return bearing. An enemy would be forced to weigh significant risks in confronting such a force. An opponent might detect and attempt to eliminate one element of a distributive LCS force, but the remaining units might launch a devastating counter-salvo against therm. Such a response could cause significant harm to an unprepared, massed adversary force. A basic LCS sea frame equipped with a moderate surface to surface missile capability could be a potent addition to the distributive lethality concept. 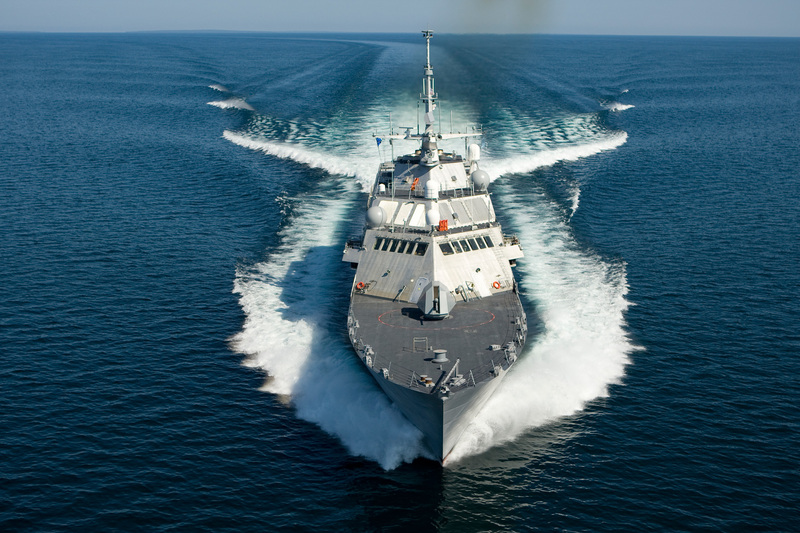 Using means from fleet-wide networks to bring your own networks (BYON’s) created by groups of ships, a distributed LCS squadron operating as an anti-surface warfare (ASUW) formation could be a significant threat to opponent surface formations. The LCS’ larger size and rotary wing capabilities allow them to spend more time at sea, and see further beyond their own sensor horizon than smaller, dedicated missile combatants. 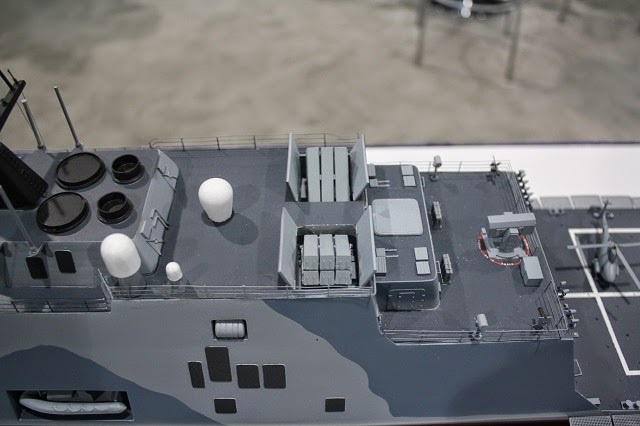 LCS’s modularity allows the ships to bring additional weapons and capabilities to the fight beyond those of even heavily-armed corvettes and light frigates. These advantages suggest that LCS squadrons should be in the vanguard of the future distributed fleet.